Unbeaten colt will miss intended comeback at Newbury on Saturday after suffering minor setback. Too Darn Hot was found to have some heat in his splint bone after a morning workout. Picture: Racingfotos.com. 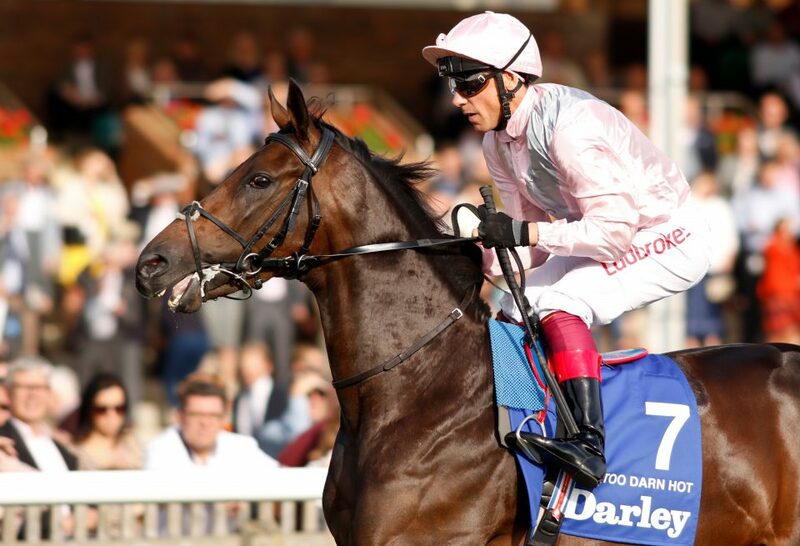 Too Darn Hot is set to head straight to the QIPCO 2000 Guineas after suffering a minor setback, his trainer John Gosden has revealed. The unbeaten colt, expected to be one of the stars of this year’s 35-race QIPCO British Champions Series, was being lined up to reappear in the Watership Down Stud Greenham Stakes at Newbury on Saturday. But Gosden has had to change his plans. The champion trainer told the Racing Post: “Too Darn Hot breezed comfortably this morning under Frankie Dettori on the Al Bahathri but tonight at evening stables he was found to have some heat in his splint bone. Bookmakers have eased Too Darn Hot to 5-4 from Evens for the QIPCO 2000 Guineas, when he will seek to provide Gosden with a first win in the colts’ Classic.